Honey, I shrunk the smartphone! The HTC One mini, a rumoured cut-down version of the flagship HTC One, could arrive this summer pretty much at the same time as its Samsung rival. According to hit-and-miss Taiwanese site Digitimes and its dubious "industry sources" the HTC One mini is set to roll off the production line in July, but may be announced sometime this month. This would see it go head to head with the Samsung Galaxy S4 mini which we expect to also go on sale in July, and sets both handsets up for an almighty tussle for market dominance. 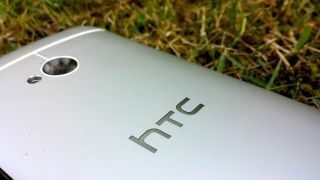 The sources go on to claim that the HTC One mini will have a 4.3-inch 720p display, dual-core processor, metal chassis and come running Android 4.2 Jelly Bean. Apparently HTC is also lining up a number of other smartphones for this year and we've already heard mutterings on a super-sized handset currently dubbed T6. The same report cites sources revealing the T6 will sport a metal chassis as well as a 5.9-inch full HD display and punchy 2.3GHz quad-core processor. We've already seen the HTC Desire 600 launched by the Taiwanese firm, but the industry insiders go on to reinforce reports that an entry-level HTC Desire 200 is also on the cards. We're not getting too carried away with this news however, as Digitimes' sources are often pretty unreliable, so we'd suggest taking everything here with a decent pinch of salt.